Playing enjoyable Christmas games with family and special friends can help make Christmas an even more magical time of the year. As well as remembering the birth of Jesus Christ, most people love to spend time together for a reunion or get-together, where fun and enjoyable times are used to celebrate. It is also the time when parties flourish. Along with over eating and carols, no party would be complete without a bunch of Christmas party games. There are so many fun Christmas games to play during the Christmas season. To make the most of this special day, take time to plan and choose which games would suit the different ages and personalities of the children, teenagers and adults involved. Are there a lot of children and teenagers who would enjoy playing active games? Are there adults who would enjoy fun Christmas word games? 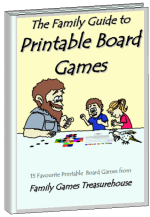 Maybe everyone would enjoy games suitable for the whole family? 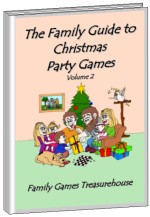 By taking the time to think about and plan your fun Christmas games you will be making sure that everyone will enjoy themselves this Christmas. Free games for all! 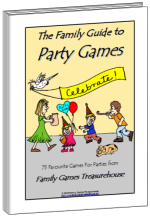 Some of the following games are fantastic for large groups, such as church or office parties or family re-unions. Some may need a larger space like a hall, but others can be played in a normal room or around a table. 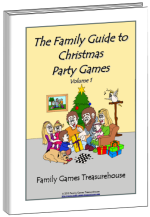 Most games suit people of all ages although young children have their own special Christmas games. Click on the highlighted game of your choice below and you will be taken to a page with full instructions on how to make and play the game. We hope you enjoy playing these Christmas party games with your friends, co-workers and family. 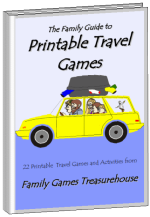 On this website we have hundreds of free games for you and your family to play together throughout the whole year. Why don't you stay awhile and have a look around?